Izaak is so very different from Logan in so many ways. But they look so similar. Logan’s eyes were a bit more green, and Zak has a stockier build, but it’s hard to tell them apart in photos. In some pictures, I can only tell them apart by looking at their collars, and, of course, the date the photo was taken. But their personalities and mannerisms are so different. 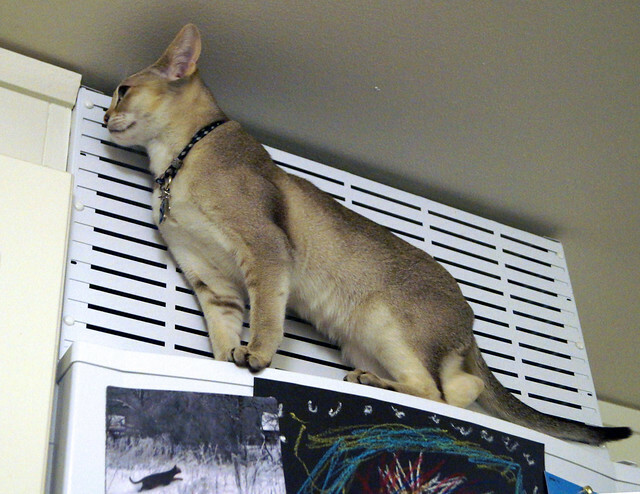 One major difference between Logan and Zak is Logan was a climber. 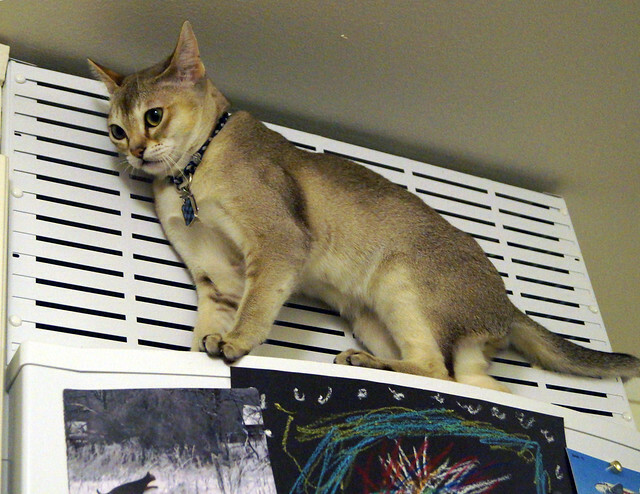 He loved to go up on top of things: the cat tree, the hallway coat rack, the top of the bookshelf in the kitten room. 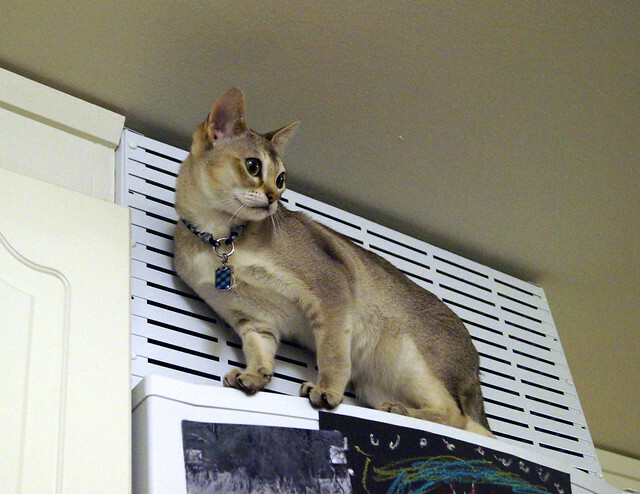 And the tiny ledge on top of the refrigerator. 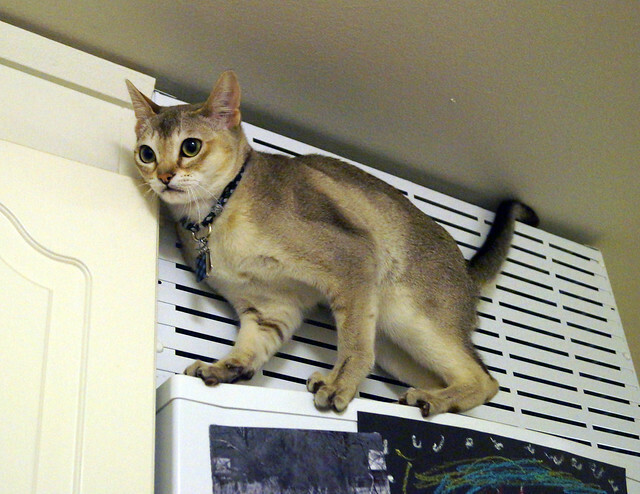 That’s a hard ledge to get up onto, let alone stay on! 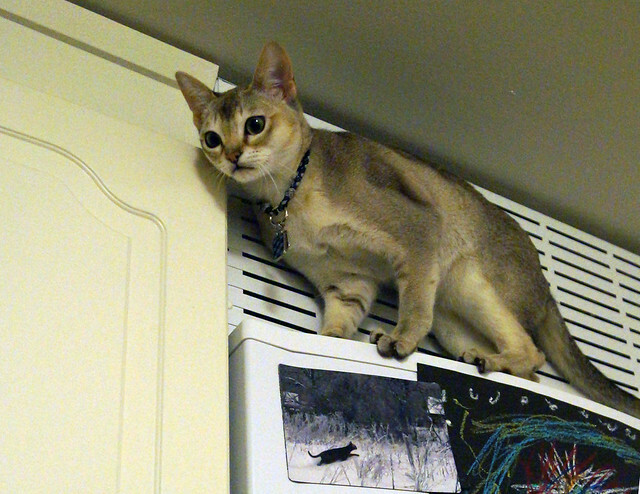 Much harder than just sitting on top of the fridge door! Another difference between Zak and Logan is that Logan was extremely fastidious. 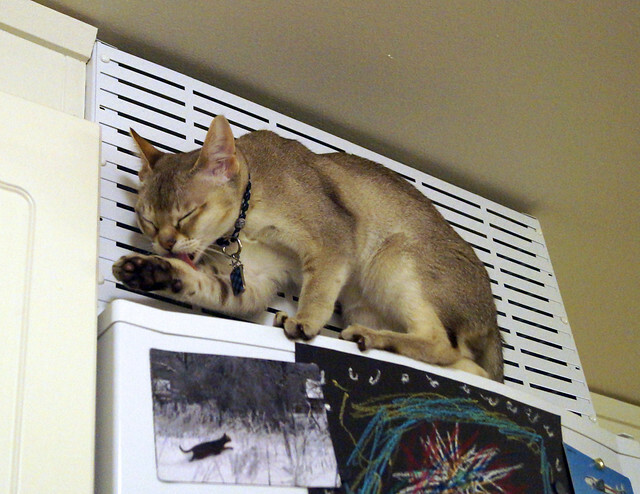 He hated to be “dirty” and would stop to groom anywhere, anytime. You may remember what happened when Logan got his Suprelorin implant as opposed to when Zak got his. 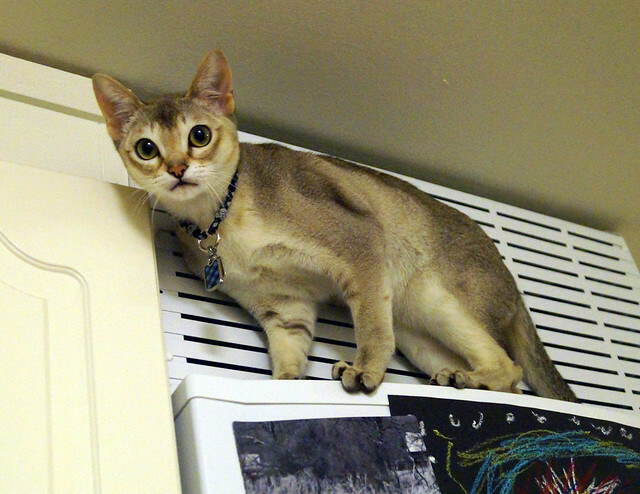 Even on the ledge of the fridge. 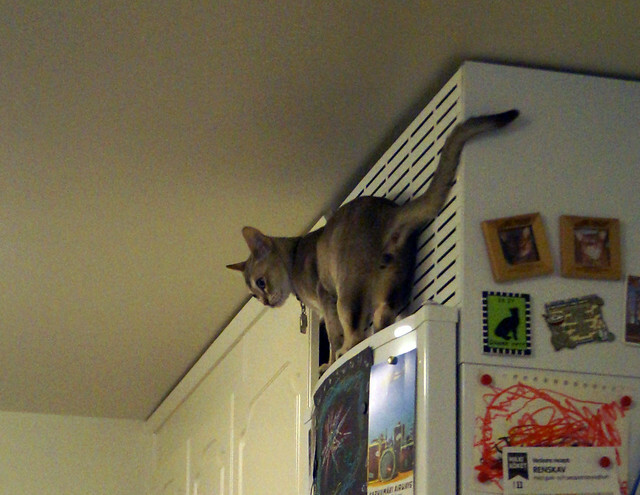 Logan was such a climber. He was so athletic. He loved to be as high as he could. 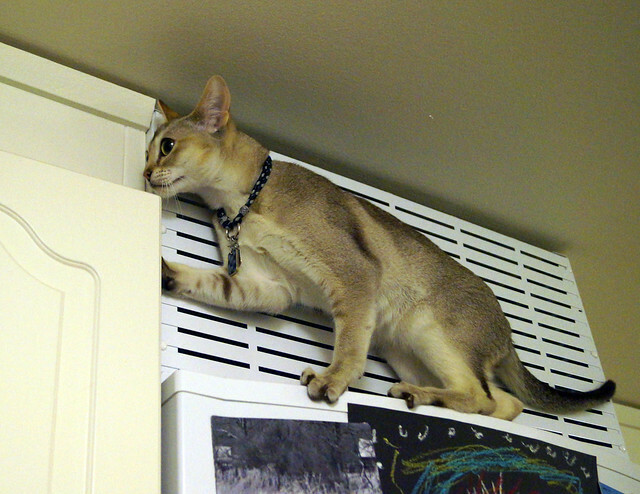 Meanwhile…Zak “The Sausage” Hellqvist can barely jump up onto the counter. 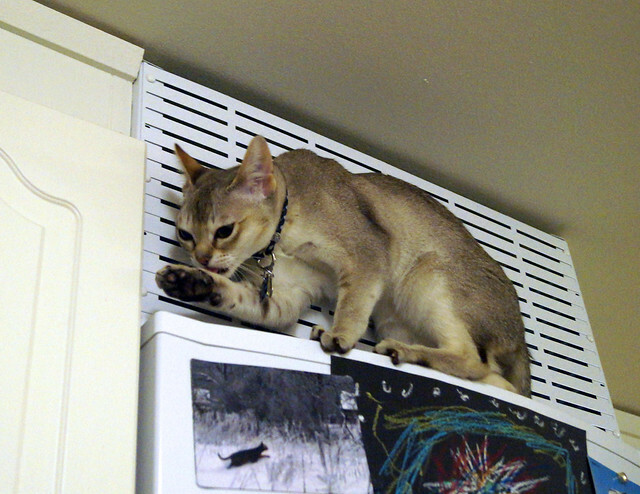 And he is incredibly food-oriented, which Logan was not…but he’s also an extremely picky eater. 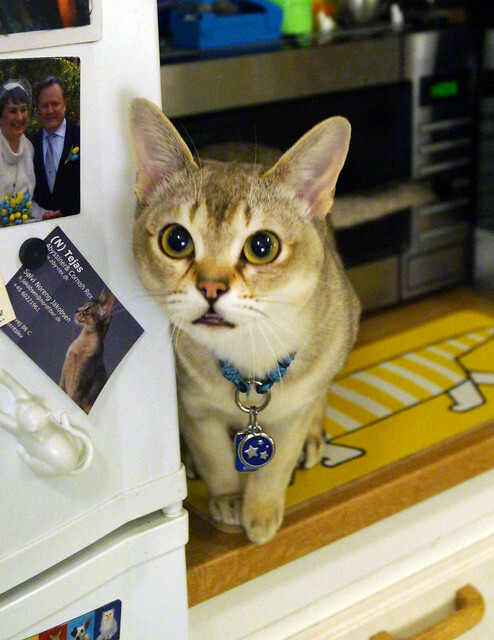 I have never seen a cat who didn’t like dry food (it’s considered a special treat in our house), but Zak won’t touch it. 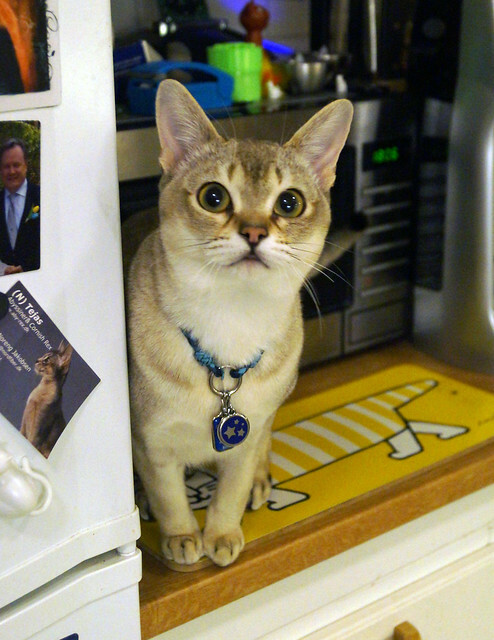 He doesn’t even seem to recognise it as food. It makes cat shows challenging, to say the least. I wish they could have known each other. It would have been interesting to see them interact. But of course, if Logan hadn’t gotten FIP we wouldn’t have Izaak. But it would have been interesting to see them together.